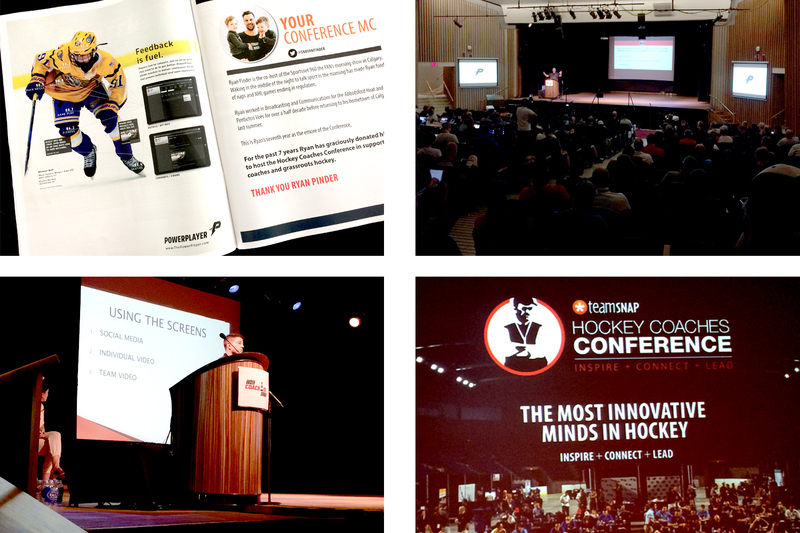 I recently spent two days trying to sip from a firehose of hockey intelligence at the 2018 Coaches Site Hockey Coaches Conference. The presentations were topically varied, thoughtful, insightful, technical, poignant, and at times, hilarious, but some common threads and themes definitely emerged for me. Here’s my take. Evidence-based decisions are good decisions. Yes, the game is changing, but for the right reasons. So as virtually every presenter clearly advocated, for coaches and parents, dropping out of ‘old school’ is essential. OK, the game is changing, but the fundamentals are still the fundamentals. Skating, puck skills, and having fun are still the foundations for everything that follows. Greg Cronin, Head Coach the Colorado Eagles, made it clear: “Never underestimate the importance of fundamentals. We practice them at the NHL level.” And Florida Panthers Assistant Coach Paul MacFarland backed that up, reiterating the continued focus on basics like passing, skating, and hand-eye coordination all the way to the NHL. Edmonton Oilers Assistant Coach Glen Gulutzan stressed the simple skills: “D: It’s ok to punt. If you’re under pressure lift a high one out of the zone. A high flip is a good offensive play when your forwards are flying up ice.” John Becanic of Pyramid Hockey talked about teaching kids to “play fast because they think fast” and the importance of basics like puck retrieval: “Try to incorporate read and react into your practice drills. Players without the puck need to work hardest.” And Hockey Canada’s Paul Carson reminded us that the way coaches teach “FUNdamentals” matters. And of course, standing room only on-ice sessions with Todd Woodcroft, Brendan Taylor of the Mississauga Steelheads, Jon Goyens of the Lac St-Louis Lions, and former NHL-er Mike Weaver of Defence First Hockey School, offered some rich practical and tactical insights. In a nutshell, a wide range of data is much easier to obtain now, and smart coaches are using it not only to make more informed decisions, but to better understand, reach, and teach players at all levels. Technology is a coaching tool. It’s undeniable. Technology is literally everywhere in our lives, and hockey is no exception. Former pro Shayne Toporowski gave an informative talk on new techniques in skate blade profiling, noting that “skate blade profiles should help players with acceleration, agility, speed, and stability. Not impede them.” Shayne’s presentation may have focused on the technical, but he brought it right back to another common theme, when he noted that even the right skate blade matters when it comes to the mental aspects of the game. “Every bit of confidence a coach can give a player, the better off the player is going to be.” And technology, of course, featured heavily in one of the most discussed areas of coaching focus: reaching and teaching players. The topic of communication was woven into virtually every talk. 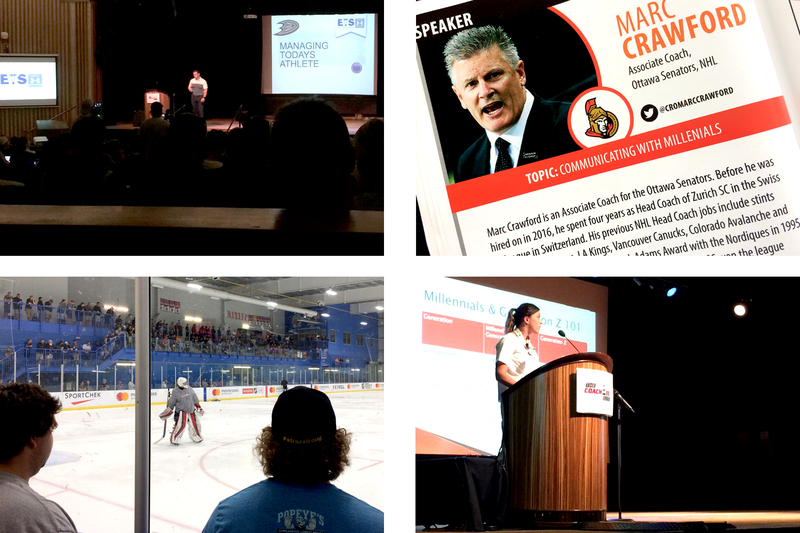 Ottawa Senators Associate Coach Marc Crawford’s presentation on communicating with millennials was strengthened by the fact that he brought a couple of his own along with him. After he pointed out that millennials are “a group that wants constant feedback,” (absolutely!) and that more than ever before, coaches need to “connect with players, and be sure to talk with them, not at them,” Marc’s daughter Katie noted that “for the first time, a younger generation is more expert at something than the preceding generation: technology.” Marc’s son Dylan reinforced that fact by by encouraging coaches to take advantage of technology to reach their players. “Young players are always on their phones, so use screens to connect with them. Video your practices. Show them how they’re doing and why it matters. They’ll see it and they’ll get it.” We agree! Belleville Senators Assistant Coach Paul Boutilier backed up the need for emotional intelligence in coaching: “In teaching and coaching, ‘feel’ is a huge component. Emotional intelligence matters.” And he reminded us of the importance of positive feedback for players at all levels: “If you picked a player, remind them why you picked them. Boost them up. And always communicate with them, and with their parents.” We agree 1000%! Combine all of that, and then add in Rogers Sportsnet hockey analyst Elliotte Friedman’s rich insights and anecdotes, and I’m positive that every coach in attendance headed home with more than a little new thinking and energy to power them into next season. For me, virtually every presentation and conversation at the conference reinforced the best attributes of the people I’ve bumped into in and around the game of hockey — a willingness to learn and to share knowledge, and a universal commitment to making the sport better for all who participate. The game itself is simultaneously simple — just score more goals than your opponent — and incredibly complex — figure out how to get 20 or so wildly different people to come together as one, with a single focus that’s enhanced rather than impeded by their various personalities, abilities, and collective chemistry. I’m guessing that for anyone driven to meet those challenges, the 2018 Coaches Site Hockey Coaches Conference was a huge win. PS In the spirit of positive feedback, huge props to the team at The Coaches Site for pulling together another incredible event. PPS Remember, if you attended the conference, you qualify for a 50% discount on PowerPlayer subscriptions for your team or club. Give us a buzz.